Welcome to the website of historical novelist A.L.Berridge! Louise is the bestselling author of the Chevalier series of historical novels about André de Roland, of which Honour and the Sword was published in 2010 and In the Name of the King in 2011, both by Penguin Books. 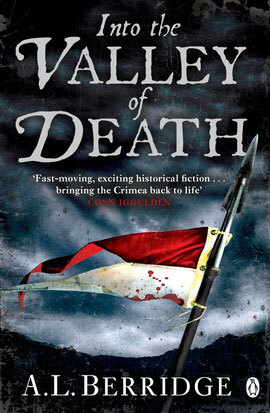 Her most recent book is Into the Valley of Death, a novel about the Crimean War featuring Victorian military hero Harry Ryder. There must be something very British about this site, because every time I post on it I seem to be saying ‘sorry’. This might just possibly be because I’m rubbish at maintaining it, but I prefer to think of it as exercising a national characteristic. But this time I really do have to apologize, because there’s another delay in the next book. 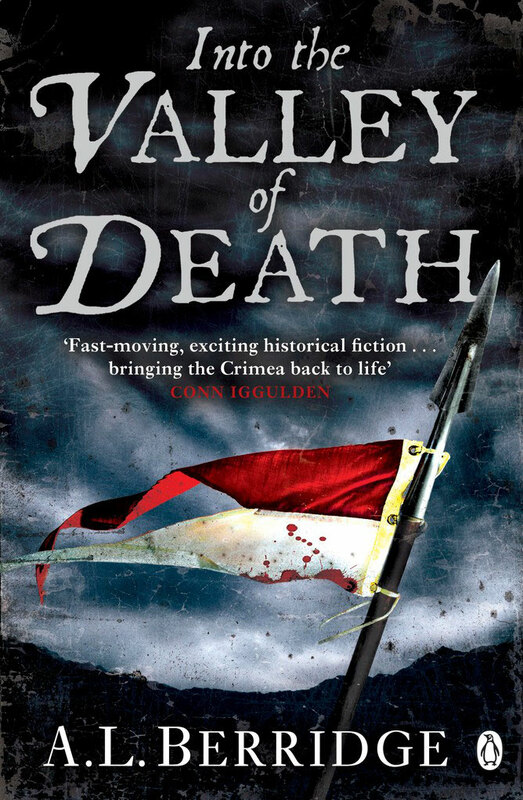 As regular readers will know, my second Crimean novel had to be put on hold during a long period of illness, but it’s since proved very difficult to revive and has now been set aside altogether. I’m told it’s not uncommon for a book to ‘go cold’ on you after a long absence, but I know many of you were looking forward to it, and am really desperately sorry for letting you all down. I’m sure it’s not for ever. My absorption in the Crimean War continues unabated, and last year I even wrote my first essay on the subject for the academic journal ’19: Interdisciplinary Studies in the Long Nineteenth Century’. I can’t see either the war or Harry Ryder being content to sit long on the shelf, and hope very much you’ll see both of them returning soon. Meanwhile the GOOD NEWS is that I’m already steaming into another novel – and I do mean steaming. This is very different, and I don’t want to jinx it by saying too much about it at this stage, but it’s bigger and more exciting than anything I’ve ever touched before. The word I’m actually tempted to use is ‘epic’, but hopefully you’ll soon be able to judge for yourselves. All this means the website will need to be quiet a while longer while I concentrate on the writing, but the moment I have a publication date I’ll be announcing it right here. In other words… WATCH THIS SPACE. 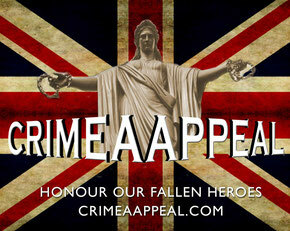 Some of you may remember our Appeal to build a new memorial in Sevastopol for the British Fallen of the Crimean War. This was going incredibly well, and we were within panting distance of our target when the 2014 upheaval in Ukraine snatched Crimea once again beyond our reach. We’ve hung on to the Fund ever since, hoping a political solution and relaxation of sanctions might make it possible to resume our plans in the future, but it’s now February 2016, the situation is as toxic as ever, and my colleagues and I at the Crimean War Trust have decided with great regret that it’s time to fold. So from today, February 1st, we’re beginning the long and depressing process of refunding our donors their money. We’re not giving up on the dream, and both plan and appeal can be revived at a moment’s notice should the situation change in the future, but we’re closing now because none of us feel happy sitting on other people’s money when it may not be used for many years. We’ll be sending messages with our refunds, but I just want to take the opportunity to thank you all again here. Please remember that we didn’t fail. The project didn’t founder for lack of generosity, but through forces well beyond any of our control, and we should be very proud we came as close as we did. We may not have our new physical memorial to our troops in Crimea, but all of you helped build another kind in proving how much we still care. Thank you again to each and every one of you – and if the Appeal is ever revived, then I’ll know exactly where to come! BUY THE BOOK IN HARDBACK HERE!! Honour and the Sword is the first in a series of books following the adventures of André de Roland through the tumultuous history of seventeenth-century France, set against the brutal backdrop of The Thirty Years War. You can buy it as a paperback here, or as an e-book here. In The Name of the King is the second book in the Chevalier series, and came out in August 2011. It can be read as a one-off novel, but it picks up directly where Honour and the Sword leaves off, in the eventful summer of 1640. For two years I blogged every month at The History Girls, and you can find a complete list of links here. I’m staying away while I forge ahead with the writing, but hope to be back there as soon as time allows. My latest article is actually an academic one (with footnotes and everything!!) on the subject of ‘The Crimean War in Public Consciousness’, which has been published in a special edition of ‘19’ – the journal for Interdisciplinary Studies in the Long Nineteenth Century. If you’re interested in the Crimean War, this whole edition is well worth a read – especially Rachel Bates on the role of Queen Victoria, Lara Kriegel on the Balaklava bugle, and Anthony Dawson on the French Army and British Army reforms. See the review section for more! The content of this website is copyright and must not be copied or stored without permission.